I have been working on lots of great stuff, and can’t wait to share once I get them completed and photographed. In the meantime, here are some pendants I made for myself and one of my favorite persons (my partner Di). 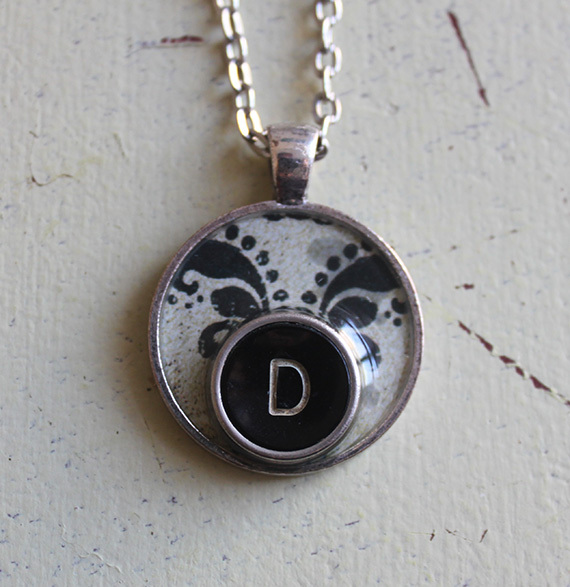 If you would like a custom initial necklace like the one I made for myself below, please email me at katiewoodjewelry@gmail.com. I always love making personalized pieces! 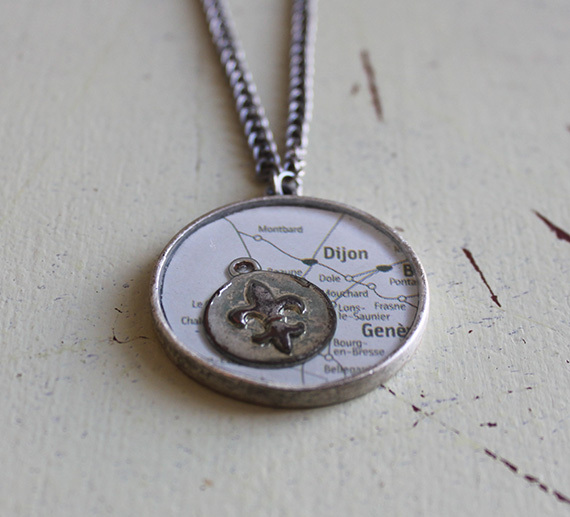 The pendant below was one of the first pieces I made, and I used part of a map from my trip to visit my brother John, who was studying abroad in Dijon, France. 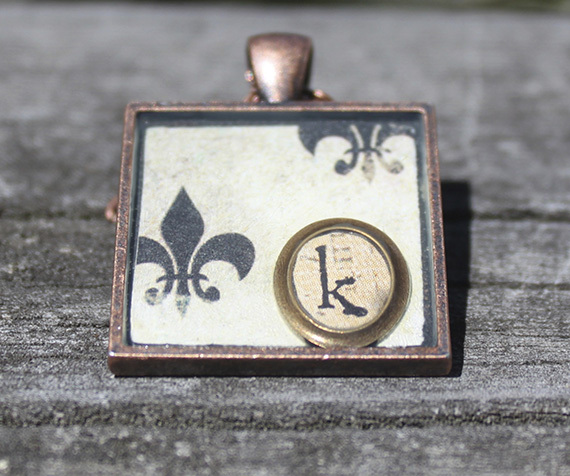 We went to Paris for the weekend and I found a lovely Fleur de Lys necklace and used a piece that had broken off to complete my collage pendant. 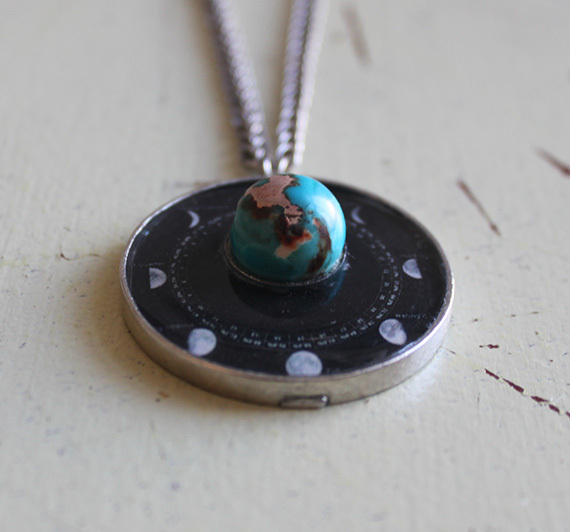 And for my moon goddess, the phases of the moon surrounding a bead that so perfectly looked like the earth.